The exhibition runs from Monday 19th June to Monday 3rd July. Below are some examples of the members' work which will be on show. Report on Exhibition private view. A hot June evening saw a very good attendance at the Hostry exhibition private view. The exhibition was opened by Bob Brandt, the president of the Institute of East Anglian Artists (IEA) who gave an amusing talk on his view of the voice and experiences of an artist showing through their work. He awarded IEA pens to the 5 non IEA member paintings which impressed him the most. The pens were gratefully received by his selected artists. The Lord Mayor and Sherriff of Norwich were welcomed to the event. 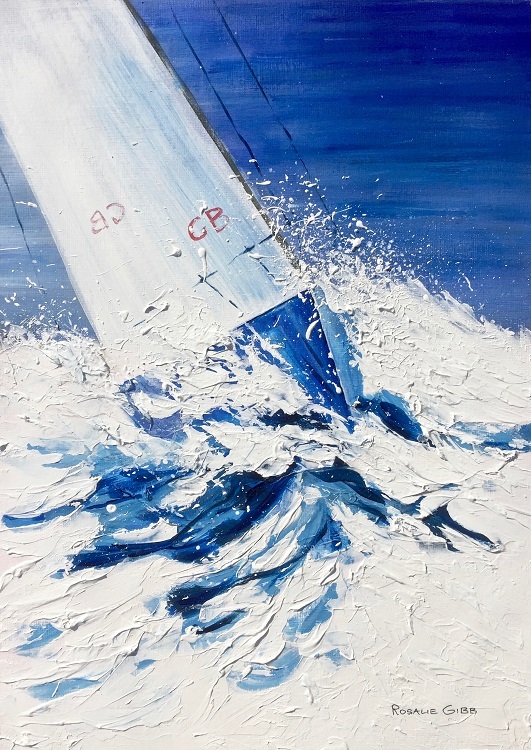 Oliver Cooper from Jarrold's chose Marian Auger's painting "Fighting the Sea Dragon" to receive the Jarrold prize generously offered to the NNAC for the first time this year. Votes came in thick and fast for the public's favourite artwork prize and several sales were made during the evening. The NNAC Chairman and Council are very grateful to the Dean and Chapter for once again allowing us to stage our exhibition in the Hostry.